Jill and Ethan looked at each other in silence for a long time. Duncan was the first Gaian Ethan had actually met after Dominic, and he felt a little embarrassed at the way the man acted toward him as Jill’s presumed husband. He came from an America that had no nobility and no royalty. Of course, he had learned that Jill was a princess, only it never dawned on him that it would make a difference in his standing. It was going to take some getting used to. Jill was not going to interrupt his thoughts. She knew full well what he was struggling with. What could she say? She just had to let him work things out in his own time and in his own way. She knew that much. It was that way with the worlds. “Where are we?” Ali Pasha asked the couple. He interrupted again, now certain that his travels were at an end. 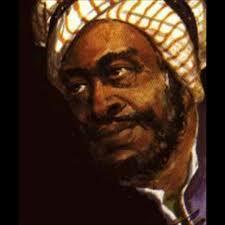 “I believe my master is learning wisdom,” Manomar said with a smile. “Master.” Ali Pasha no longer liked the word. “In some ways it will be hard not to interfere with my own world’s development, but at least I will try to keep us from becoming slaves to some outside people.” He looked at the others and then looked at his feet and shuffled them toward the waiting door. “Come, Manomar,” he said. “We have a Master Examiner of the Society to remove, for a start.” He dared not say more, but it was possible the whole Society of the Mahdi was full of alien men. Ali Pasha and Manomar got out near the New Ark city gate. The guards there were not surprised to see them and let them into the city without lifting a hand. Ali Pasha was known for his expeditions into the wilderness, so no one questioned them. 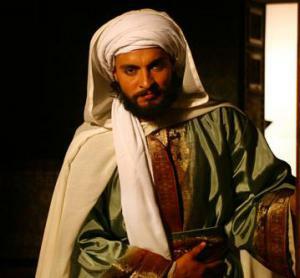 “We must stop on the way and pay back the money I borrowed, with interest.” Ali Pasha told Manomar. “My master is thoughtful.” The big man grinned. Ali Pasha looked up into the big, black face for a minute. “At this point I think friend would be more appropriate, but master is probably for the best. 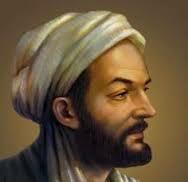 We must keep up appearances, and a scholar knows all about keeping up appearances.” Manomar just smiled. After they had paid back the money, and without being too obvious about it, let everyone know that they were back in town, Ali Pasha led his faithful man across the whole length of the town to the docks. They greeted everyone they could along the way. He had little trouble finding the girl, Kirsten, since he knew exactly what she looked like. He had a bit more trouble finding her owner who turned out to be drunk and sleeping it off at the back of a sailor’s hostel. “I don’t understand, sire. Why would you wish to purchase me?” Kirsten asked. “That is not what my mother told me.” Kirsten answered honestly enough. “She said he was a worse drunk than my Master, Omar the Idiot.” Kirsten was not shy about sharing her feelings and opinions. This was not a good trait for a slave, though Ali Pasha thought it was better than he had reasonably hoped. Such impertinence clearly showed that the young woman had not surrendered to being a slave forever. Kirsten hardly knew what to say. “Thank you.” She tried to wake her owner gently, but then she threw a tankard of water on Omar the Idiot’s face. “Wake up you fool,” she said. “Now, now,” Ali Pasha said. “None of that kind of talk if you please.” Manomar simply moved within reach of the man’s face and snarled. “Ben-Ebrahim?” Ali Pasha spoke while he thought, not the Idiot? 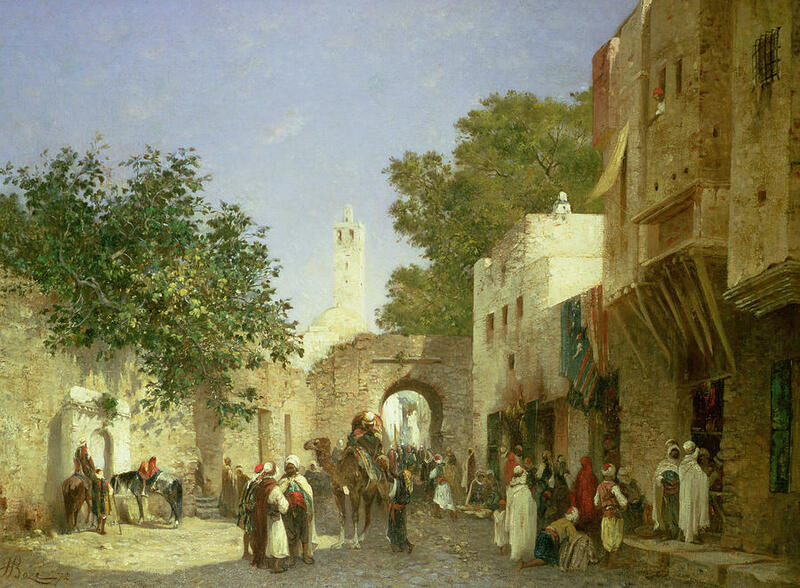 “I want to buy your girl,” Ali Pasha said while Manomar looked over his shoulder. The bartender was keeping a close eye on the proceedings. Obviously, he wanted Omar with gold rather than a girl. He was not inclined to accept the girl in exchange for drinks, but gold would do just fine. Omar sized up the well dressed scholar. “I could let her go for thirty pieces,” he said and let out a sigh which suggested that the price was a sacrifice on his part. It was a sigh that would become very annoying before the bargaining was done. “I was thinking more like five for one blond barbarian girl.” Ali Pasha responded, and they were doomed then to dicker for a while. In the end, Ali Pasha was pleased with himself for paying nine rather than the ten gold pieces that would be the expected compromise between five and fifteen, and it only took one drink to make the bargain. On the other hand, Omar had no reason to complain. On the open market, Kirsten would have fetched about seven, and only because she was still so young. “So, now you are my master?” Kirsten checked, now that all the papers had been signed and duly witnessed. The bartender added his name in big, bold print. “Really?” Kirsten was excited by the idea. She was sure her fortunes were going up. “But you have no children?” She asked, in consideration of the Scholar’s feelings. “Children? I have plenty of children and plenty of daughters, only I am not sure there is a good one among them.” Ali Pasha laughed.